Discover true carioca spirit when staying at the Mar Ipanema Hotel. Featuring modern design combined with an excellent location on the most exclusive corner of Ipanema in Rio de Janeiro, this hotel offers warm hospitality and essential services for a comfortable stay just a few blocks from the beach. This cosy hotel can be found in Ipanema. This hotel is located in a residential area, beside one of the most beautiful and enchanting beaches in Rio. Just a short walk from the hotel, guests can enjoy the wonderful countryside. A wide range of restaurants and bars, various shops, and many more leisure options can be found nearby.The beach hotel comprises a reception and a conference room. Within the hotel there is an à la carte restaurant. Guests may use the public Internet connection for an additional fee.The stylish rooms come with an en suite bathroom and an Internet connection. The rooms all feature plenty of space to work. From the terrace, there are breathtaking views of the ocean. This apartment hotel is situated in the sophisticated Leblon neighbourhood of Rio de Janeiro. The hotel lies just 1 km away from the city centre and the beach. The tourist centre of Caneco can be found just 6 km away. This wonderful hotel is just 60 km away from Niteroi. A wide range of attractions, as well as shopping, dining and entertainment venues can be found nearby. This hotel comprises tastefully-designed guest rooms, which offer comfort, convenience and style. Those travelling for work purposes will appreciate the hotel's business centre and conference facilities. The hotel also features a gym and an outdoor swimming pool, as well as a sauna. 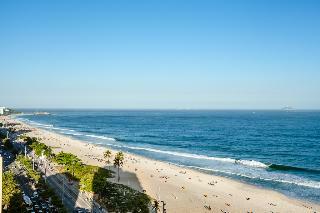 This hotel is located near to the area's major shopping centres, restaurants, cinemas and theatres and is situated facing Leblon beach, one of the most beautiful and charming beaches in Rio de Janeiro. It is just a 15-minute walk from Ipanema/Copacabana, 5 km from Tijucas Forest and 10 km from Corcovado and the Sugar Loaf Mountain.Renovated in 2008, this charming family-friendly city hotel is one of the newest and most attractive on Leblon Beach. It is the first hotel in Rio de Janeiro to combine the concepts of boutique and design hotel and is ideal for both business travellers and holidaymakers alike. The hotel has facilities to satisfy the most discerning and sophisticated guests. The 39 suites are very modern, spacious and overlooking the sea; all are nicely decorated, creating a pleasant and attractive atmosphere for any occasion. 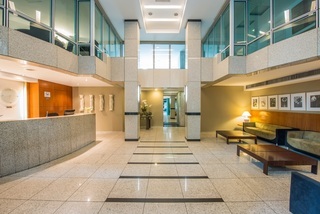 Facilities on offer to guests at this air-conditioned establishment include a lobby with a 24-hour reception and check out service, a hotel safe, a currency exchange facility, a cloakroom and lift access. It also offers a TV lounge, a bar and a restaurant and business travellers will appreciate the conference facilities and WLAN Internet access. Guests may also take advantage of the room and laundry services and there is parking available for those arriving by car. Guests will also find a bicycle hire station on the premises.The hotel rooms come with a private bathroom with a shower/bathtub and a hairdryer and offer a king-size or double bed. They are equipped with a direct dial telephone, satellite/cable TV, a radio, a hifi system, Internet access, a safe and a kitchenette with a minibar and a microwave. Furthermore, individually adjustable air conditioning is provided in all accommodation as standard and all rooms feature a terrace. Situated on the noblest spot in Ipanema, a block from the beach. The hotel is near the Lagoon, surrounded by pedestrian and bicycle path, where you get a wonderful view of the Corcovado Mountain and Christ the Redeemer statue. Access from the Hotel to the main sights, downtown and the International Airport. A few meters from the Hotel are located several galleries and upmarket shops. This family-friendly city hotel has comfortable rooms. It offers accommodation options from Executive to high luxury and is ideal for business travellers. The outdoor swimming pool is located on the terrace of the hotel and offers a magnificent view of the entire length of the sandy beaches of Ipanema and Leblon. On the most famous, best loved block of Rio de Janeiro, near to all that Ipaname has to offer.The hotel features a business center and lounge. 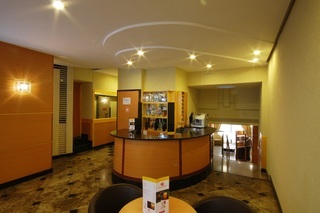 The atmosphere of the hotel is excellent, comfortable and people are hospitable. It is currently one of the best option for work or leisure time.Rooms come equipped with cable TV, bathroom, radio, air conditioning, safe, balcony, living room, hair dryer and mini-kitchen (in some rooms).The hotel has a whirlpool, steam sauna and gym. Free Beach service!A credit card will be requested as a guarantee at the time of check in. 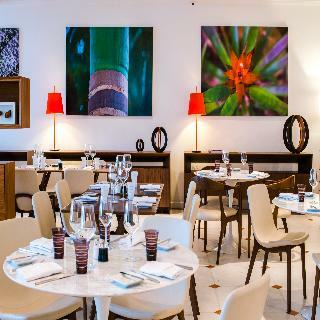 The Sofitel Rio de Janeiro Ipanema is a luxury hotel overlooking Ipanema Beach, combining the refinement and elegance of a home in Rio with a cosmopolitan atmosphere. 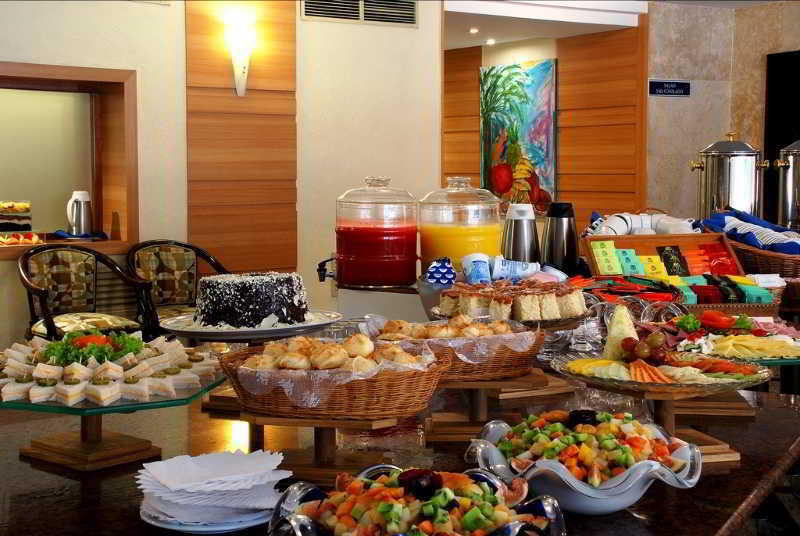 The hotel boasts comfortable rooms with sophisticated dÃ©cor, the 23 Ocean Lounge Restaurant, renowned for its haute cuisine, and a spa, sauna, rooftop pool and fitness center, not to mention the breathtaking views of Morro Dois IrmÃ£os and Arpoador Beach. Located facing the ocean, at the most trendy point of Ipanema Beach, the "Station 9", and only one block from the bar Garota de Ipanema, birthplace of Bossa Nova. 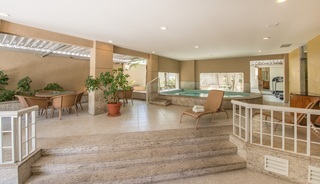 Perfect for leisure or business trip for its proximity to downtown and the best tourist sights of Rio de Janeiro. Sol Ipanema Hotel has just the right room for the different passengers needs, including one room for disabled and/or elderly people. Designed to provide maximum comfort, the rooms are equipped with: air conditioning, minibar, softbackground music, individual safety box, work desk, telephone and cable TV. To fulfill the expectations of our guests in a personalized, we offer 24h room service, pool and free Internet connection. We can comfortably accommodate a third person in extra bed in all our apartments. The friendly atmosphere, the attentive service and a privileged view of the restaurant are the perfect 'side dishes' for the most sophisticated dishes of the Italian and Mediterranean cuisine.